During the 2016-2017 season, soprano Alexandra Loutsion makes her role debut in the title role of Turandot at Pittsburgh Opera. 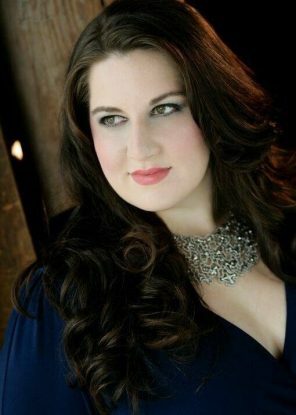 She also debuts at Palm Beach Opera as Cio-Cio-San in Madama Butterfly, makes her role debut as the Foreign Princess in Rusalka at the Arizona Opera, and sings Tosca in concert with the Fort Wayne Philharmonic following her critically acclaimed 2016 performances of the title role at Central City Opera. In 2015 she debuted at Arizona Opera as Florencia Grimaldi in Florencia en el Amazonas, at Wolf Trap Opera as Cio-Cio-San in Madama Butterfly and at North Carolina Opera as Donna Anna in Don Giovanni. Ms. Loutsion was a Apprentice Artist at Santa Fe Opera, a Resident Artist with Pittsburgh Opera and an Apprentice Artist with Central City Opera. She holds a Master of Music in Vocal Arts from the University of Southern California and a Bachelor of Music in Vocal Performance from Ithaca College. Alexandra will be featured in the title role of Tosca in Wolf Trap Opera’s 2017 production with the National Symphony Orchestra.